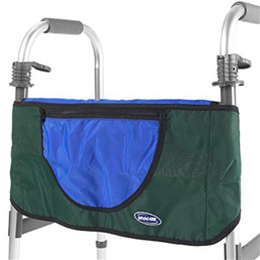 Has a 5 lbs weight capacity. Lightweight, water-repellent, and mildew & rot-resistant. Easily attaches over front crossbar. Made of denier nylon, Urethane coated back, inside and outside pockets.